I often hear from people that they just don’t see that many people bicycling. I typically respond that for my work I spend time in most every neighborhood in Milwaukee and that it usually does not take more than five minutes for me to see a person riding a bike, no matter where I am in the City. 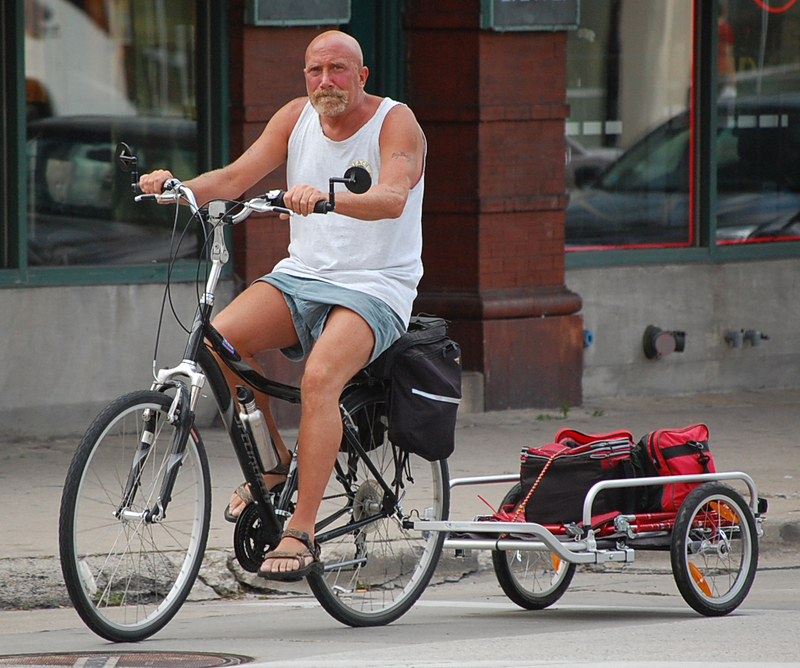 That gave me the idea to create a catalog of photographs of people I see riding bikes in five-minute periods. Category B: those taken outside Milwaukee County. Category C: Group rides Photos taken on pub crawls, critical mass rides, tweed rides, etc. 1. all the photos must be taken in a five-minute period. 2. The photos can be taken from different locations within that five-minute period. .
4. Please identify the approximate location for each photo. 6. The deadline for entry is August 26th. 7. Prizes will be randomly drawn and announced Friday, August 27th. Is that Mark Sirek from Wheel and Sprocket in the second photo? First, I clearly state that this is a PERSONAL blog. I do not represent the City of Milwaukee here although I am an employee of the City. Second, wearing a helmet is a personal choice. Sometimes I do, sometimes I don’t. I don’t advocate that people wear them or don’t wear them. I do advocate that people ride bikes. 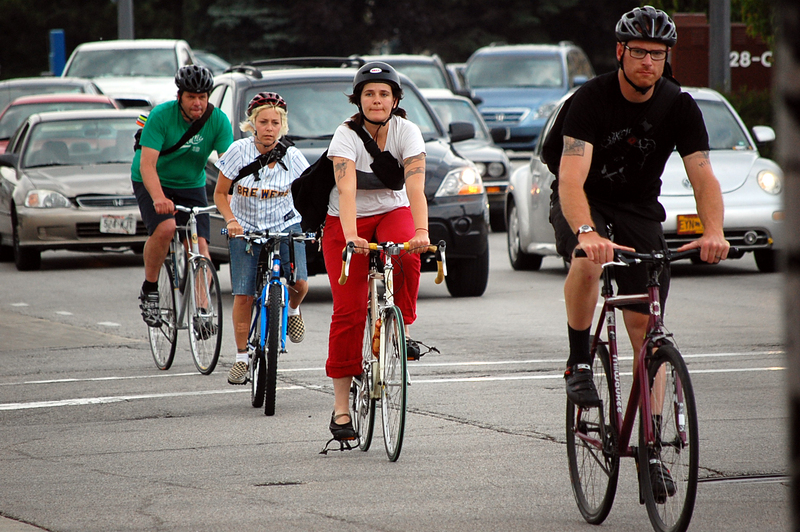 The more people who ride bikes the better, whether they wear helmets or not. I will discuss the whole issue about wearing helmets in a later post. It is a bigger issue than I can respond to in a reply to comment. But I will say a couple things about it here. The safest places in the world to ride a bike are the places where people wear helmets the least. In Amsterdam and Copenhagen virtually nobody wears a helmet and about 50% of all trips are made by bike. I want to sell bicyling and one of the selling points is that bicycling is very safe. Typically we have 0 or 1 fatal crash involving a bicycle in Milwaukee in a year, and usually that person was riding at night without a light, riding against traffic or failed to stop before riding out into traffic. Another selling point is the health benefit. If people ride less because they don’t want to wear a helmet or think cycling is unsafe, then the benefits of wearing a helmet are offset by less riding. I have also had people admonish me for promoting the idea the women should be able to ride bikes in heels, open toed shoes or sandals. Some people have suggested that is very unsafe and inappropriate. If you drive a car, do you wear one of these when you drive it? if not, why not? all the arguments for wearing helmets while bicycling (which which I happen to agree) all apply to wearing a helmet while riding in car too. I always wear a helmet, but sometimes I feel like I am doing it to avoid the insufferable folks who make comments like the one above. In my youth, my primary means of transport was the bicycle, as it was for many of my friends. For all of our foolishness and resulting injuries/hospitalization, not one involved the head. Helmets are good, and helmets are wise, but they are not the be-all end-all. They often move people into more dangerous cars, where they are even more likely to die of head injuries than on a bike. Need more info? 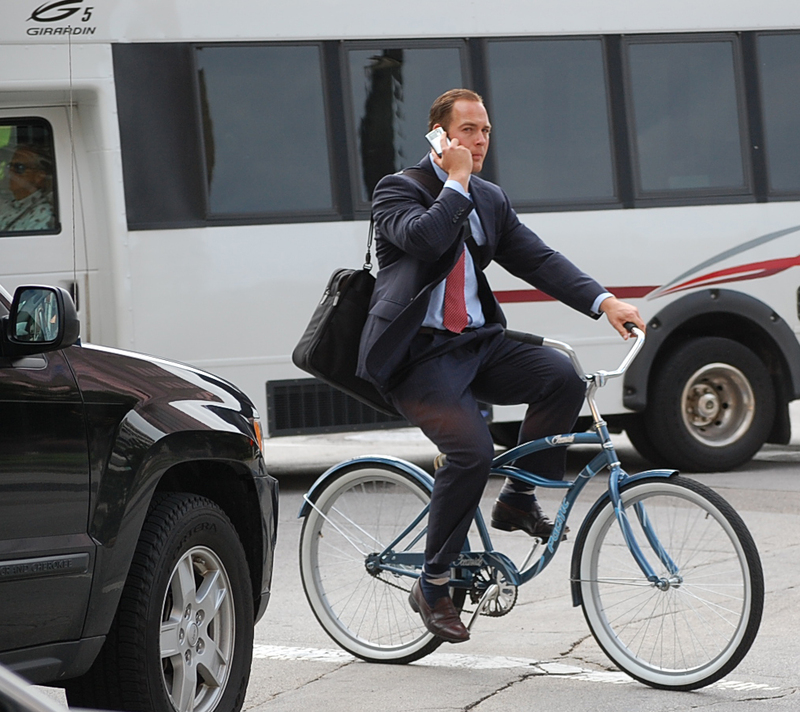 Read “The Cyclist’s Manifesto” by bike messenger Robert Hurst. He always wears a helmet, too, but he lays out the facts that make comments like the one above so counterproductive and detrimental to the cycling movement. And it is all footnoted and documented.